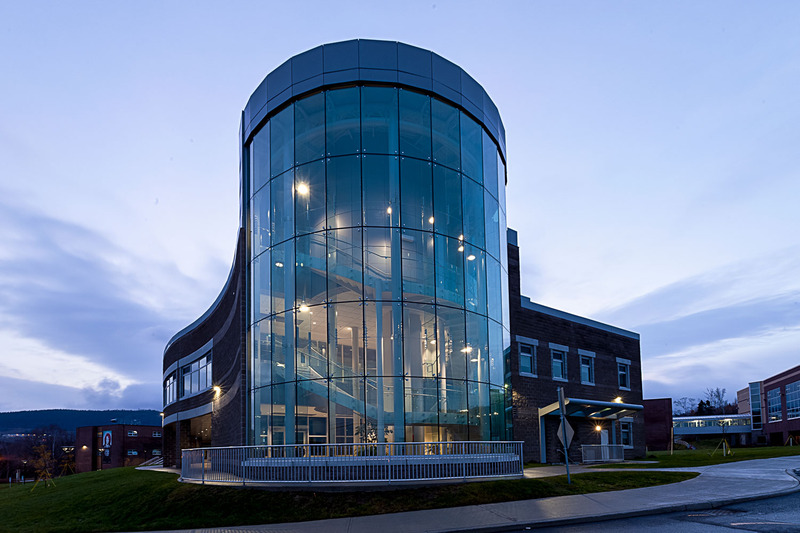 This extension to the Arts and Science Building is designed to be inviting to visitors and advantageous to students and staff. 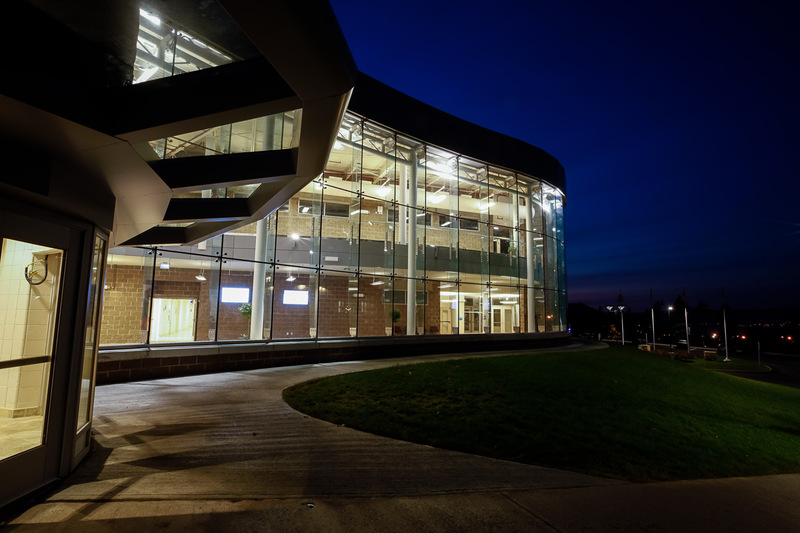 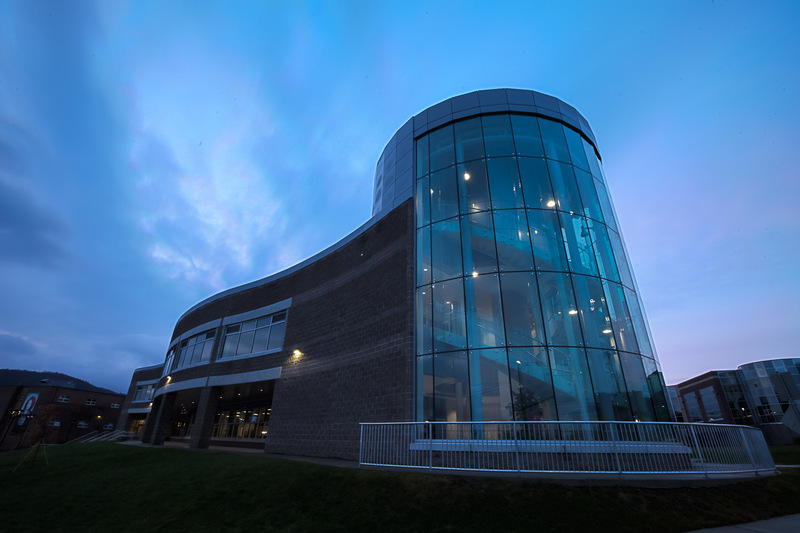 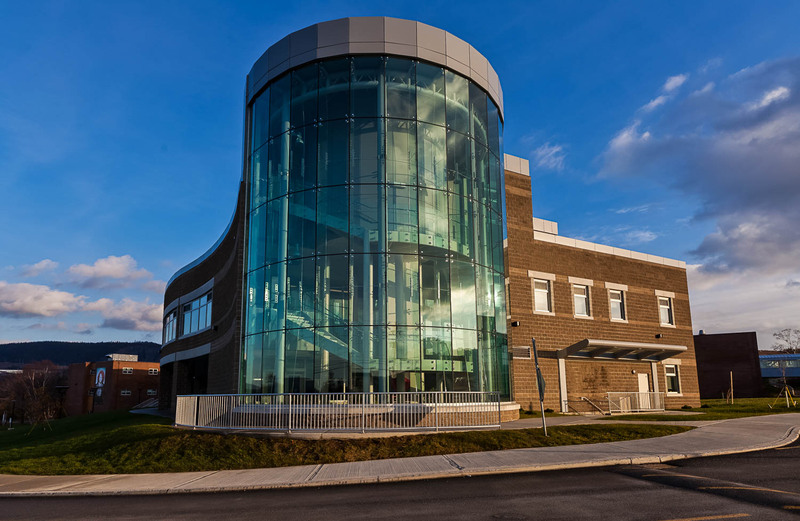 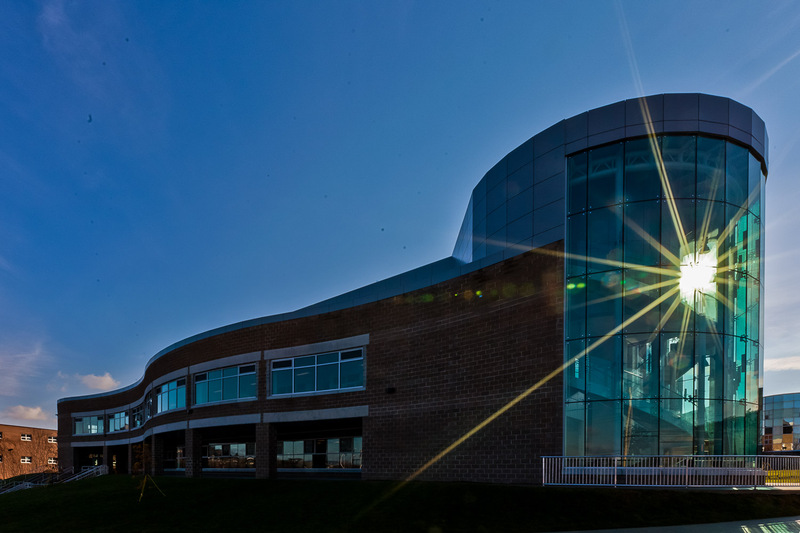 Built as an extension to the existing Arts and Science building, this structure expands the campus’ inventory of meeting, academic, and research spaces, while also providing an observatory and Atlantic Canada’s largest telescope. 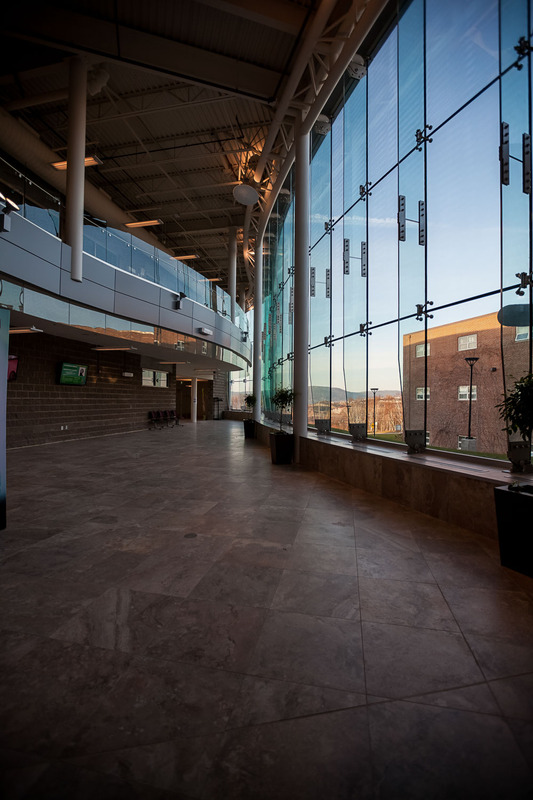 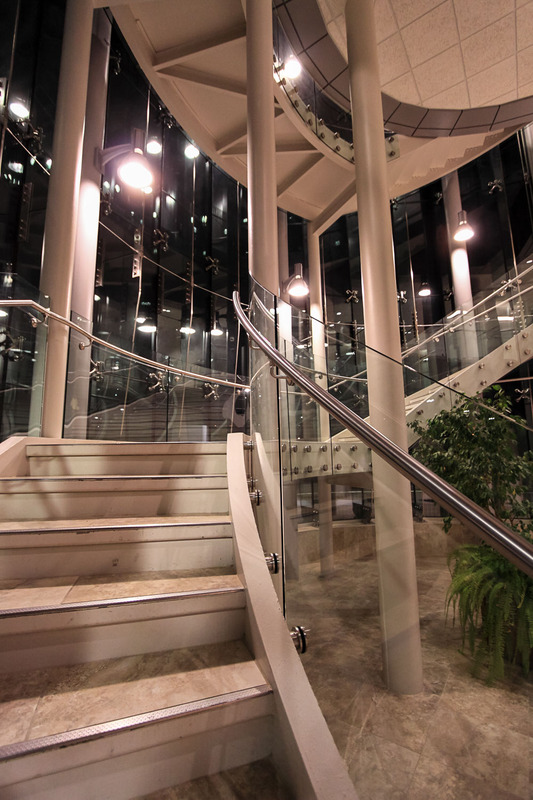 An undulating wall of structural glazing encloses an atrium at the building’s new main entry, offering a unique and welcoming impression to visitors of the campus. 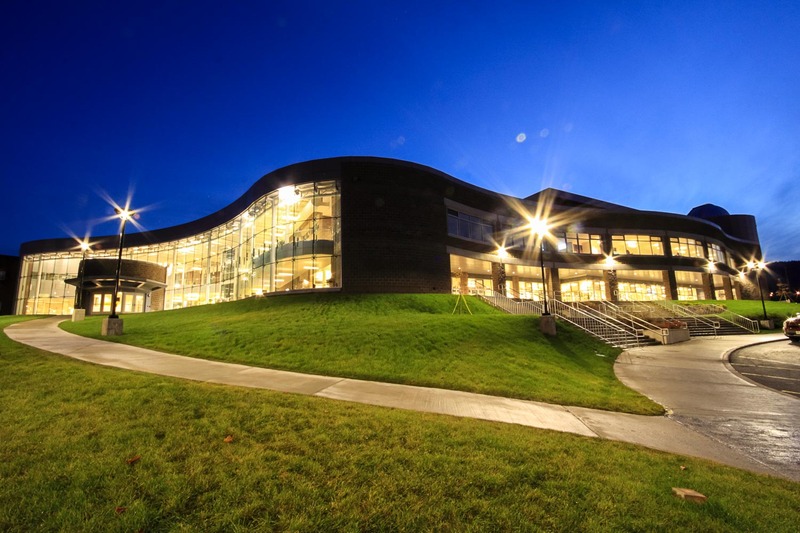 Memorial's new Academic Building measures 4500 m². 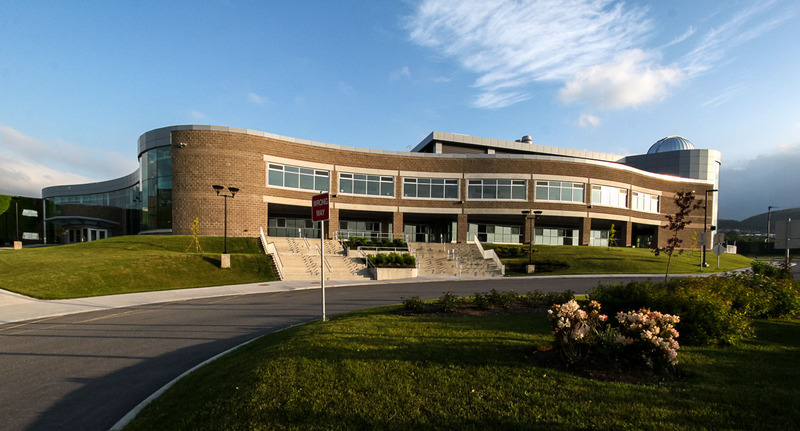 MUN's new Academic Building is located at Grenfell Campus at 20 University Drive, Corner Brook. 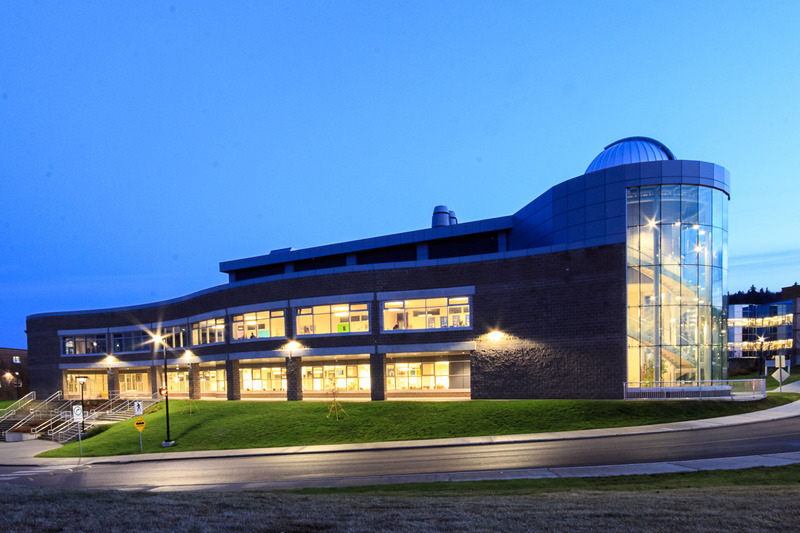 Grenfell is Memorial's campus in Corner Brook. 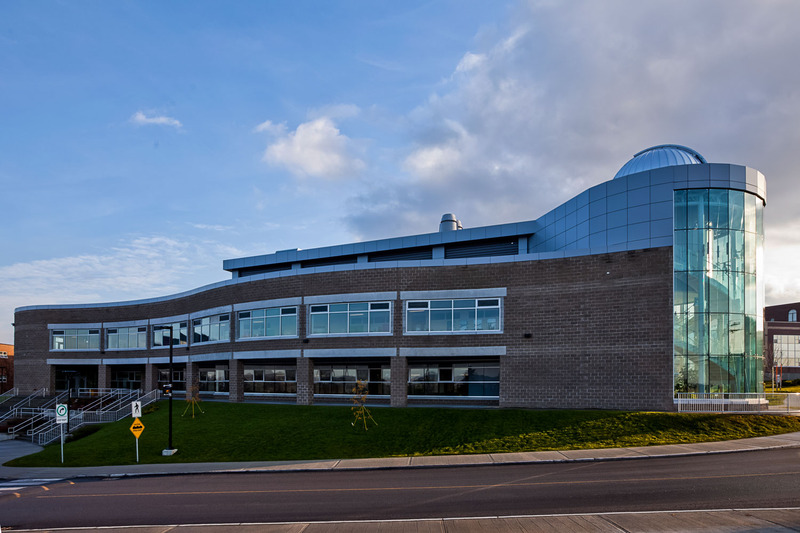 The new Academic Building at Grenfell Campus was completed in 2013 and currently serves as the main artery into and out of the campus. 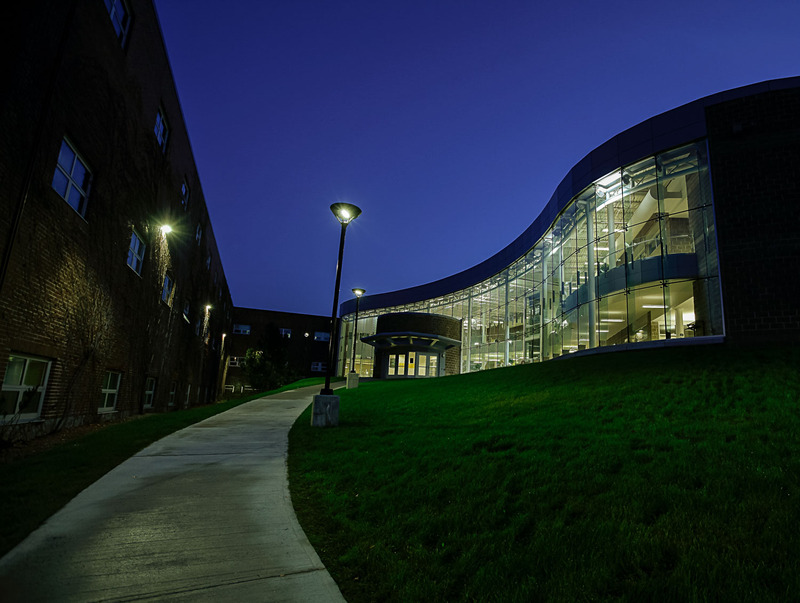 The front façade of the addition is united by a gently undulating wall, the geometry of which provides a sheltered exterior walkway on the ground level and generously glazed spaces for studying above. 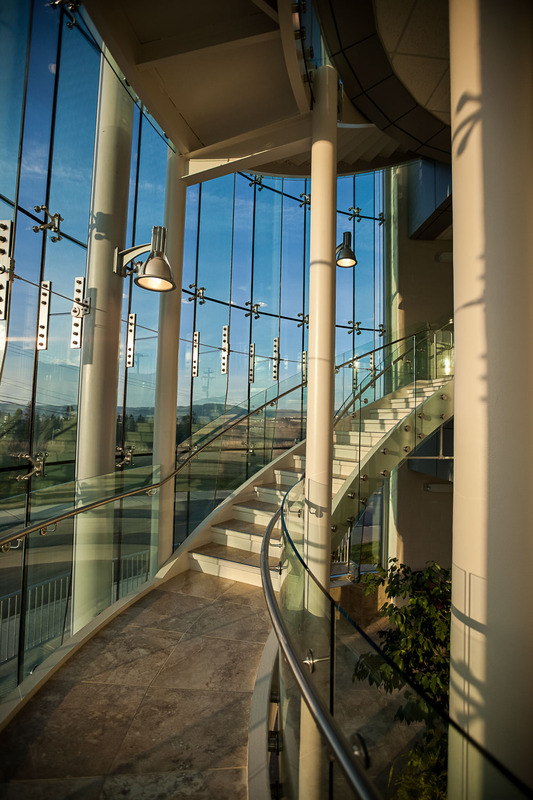 This playful ambiguity of interior and exterior spaces is carried to the atrium as well: the transparency of its two-storey structural glass wall dissolves the building’s perimeter, a sensation that is furthered by the presence of plantings inside and out. 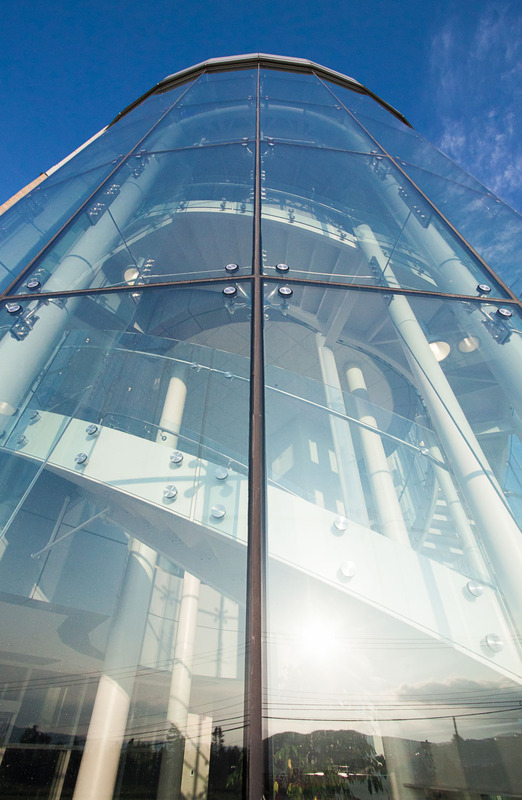 At the other end of the front façade, the structural glazing wraps around the base of the telescope, revealing its support and access stairs. 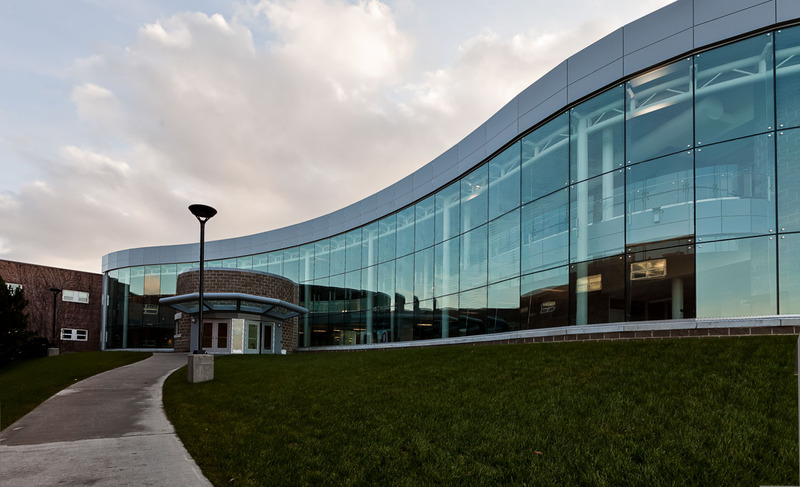 By using the telescope and undulating structural glazing system as strong compositional elements, the design celebrates teaching and research.